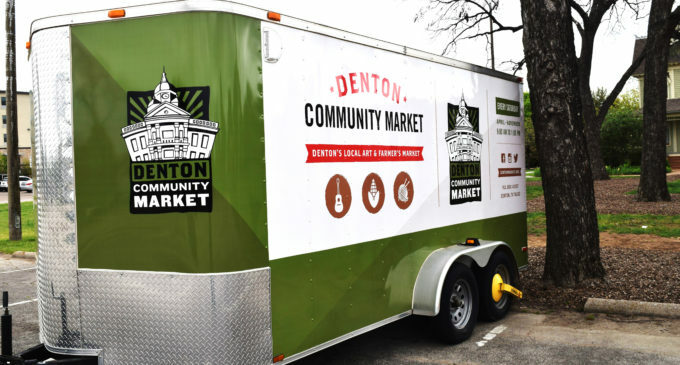 The Denton Community Market is set to open back up on Saturday, April 1 for its eighth year. With the opening, the market will be introducing a couple of new programs to help low-income families, and build off of its already implemented strategies. Rachel Weaver, the market vendor coordinator for the DCM, said the market this year is allowing WIC and SNAP. WIC (Women, Infants and Children) and SNAP (Supplemental Nutrition Assistance Program) are programs provided by the federal government that assists families and parents, helping them buy healthy foods they cannot afford on their own, such as meats, eggs, produce and canned goods. While they were excited about these new programs that will allow a little more assistance to the community, Weaver said there are plenty of other programs already implemented that will continue to expand, such as its Pet District. Weaver said the market will also continue to expand on its “human programs,” namely, its programs for children. Weaver said the DCM already has events and activities scheduled every Saturday all the way through November of this year. Some activities that will be available on opening day include roping and blacksmith demonstrations, face painting, giant bubbles and yoga. DentonRadio.com is getting involved as well. The live music that will be played at the market every Saturday will also be live-streamed on DentonRadio.com. Despite how much the market has grown – over 900 percent since 2010 – the city of Denton hasn’t been a huge factor in the funds for it. The city gives what is called “hot funds.” Those funds are given for what Weaver described as “tourism” purposes. This kind of money goes to various events hosted around Denton to supplement some of the event costs. Weaver said the money the market receives from the city usually “isn’t a lot,” but provides enough to cover the live music. With now over 150 vendors helping create the DCM, the benefits are mutual, as several vendors see most, if not all of their business through it. Brandon Williams, one of the managers and founders of Juice Lab in Denton, said this will be their third year at the market, and described the market as a sort of “testing ground” for their product. Williams said his girlfriend had been making organic juices for around five years, but they couldn’t find any juice stores in the city. They decided to set up a booth, and gained a big enough following to open up their own store in February of last year. Orbit Press, a vendor that specializes in printing various items from business cards, to banners, to “space tourism posters from NASA,” will be attending the market for their second full year. Misty Wiseley, one of the owners of Orbit Press, said they are able to utilize the market to sell items that were left over from their print shop, as well as bring in customers. “We adore and cherish getting to be out there, for sure,” Wiseley said. The market is set to open April 1, and will run every Saturday from 9 a.m. to 1 p.m. through November.